Jerome C. Rettig, age 73, of Tomahawk, WI, passed away peacefully on Friday, February 8, 2019, at Rennes Health and Rehabilitation Center in Rhinelander under the care of Ascension Ministry Hospice. Jerry was born January 4, 1946, in Tomahawk to the late Charles and Elynore (Kobs) Rettig. He and his family moved to Bay View, WI, when he was 6 years old. Jerry grew up in the Bay View area and was a 1964 graduate of Bay View High School. He was married to Diane Lee on April 1, 1977, in Milwaukee; she survives. 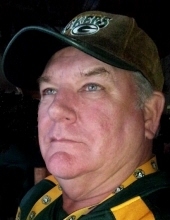 Jerry worked as a pipefitter in the Milwaukee area for many years; retiring in 2004. Upon retirement, Jerry and Diane moved to the Tomahawk area permanently. He had been a member of the Bay View Rod and Gun Club. He enjoyed hunting and fishing with his buddies, playing horseshoes, and golfing. Most of all, Jerry loved the life he shared with Diane and their retirement together in the Northwoods. Survivors include his Wife, Diane Rettig; 1 Son; Step-Daughter, Denise; Son-in-law, Ken; Brother-in-law, Scott; 4 Grandchildren, and 3 Great-Grandchildren. Jerry was preceded in death by his Parents; 1 Daughter; 1 Step-Daughter; and 1 Sister. Private Entombment for Jerry Rettig will be held at Arlington Park Cemetery in Greenfield, WI. To send flowers or a remembrance gift to the family of Jerome "Jerry" Rettig, please visit our Tribute Store. In accordance with wishes, no services will be held. "Email Address" would like to share the life celebration of Jerome "Jerry" Rettig. Click on the "link" to go to share a favorite memory or leave a condolence message for the family.